Academe presents the contemporary department chair with important challenges to effective functioning. Among these are (a) the ambiguous nature of the role itself, which is typically seen as part faculty and part administrator; (b) tenure and faculty governance procedures that reduce opportunities to utilize contingency management; and (c) the differing contingencies that influence the behavior of faculty compared to administrators. Under these circumstances, a chair will likely achieve more success in leading and managing the department, including fostering progressive changes that promote greater fairness, equality, and justice in academia and the community, by relying to a greater extent on antecedent stimulus control than on postcedent control. Portions of this manuscript were presented in Rakos, R.F. 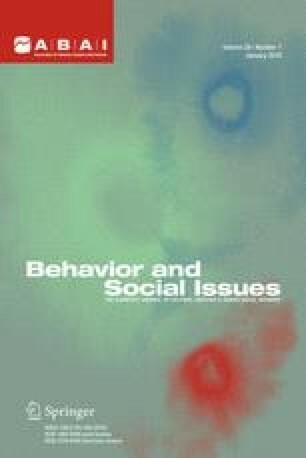 (1999, May), Chairing a psychology department: Reflections of a behaviorist. In R.F. Rakos (Chair), Examining organizational practices: Behavior analytic contributions. Symposium conducted at the annual convention of the Association for Behavior Analysis, Chicago.